Buy a new phone at Carphone Warehouse and claim a free Amazon, Currys or M&S £40 voucher! We've teamed up with Carphone Warehouse to offer you the chance to claim a £40 gift card with any deal on iPhone X, iPhone 8, Samsung Galaxy S8 or Samsung Galaxy Note 8. You can use the gift card at Amazon, Currys PC World, Marks and Spencer, House of Fraser, Pizza Express or Debenhams. 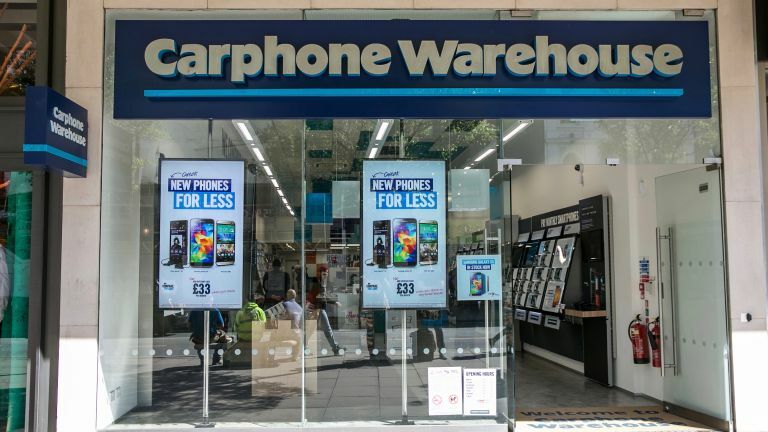 Read on to the bottom of this story to find out how to claim your voucher or jump straight to Carphone Warehouse deals. Click 'Buy Now' to go through to the Carphone Warehouse website where you can choose your favourite deal on the iPhone X, iPhone 8, Galaxy Note 8 or Galaxy S8. Simple as that! As long as you don't cancel within 60 days, you'll be sent your gift card at the end of that period. Then, you'll have 3 months to claim your reward. And if you want to browse the best of what Carphone has to offer on the eligible handsets, then check out our comparison chart below.